The below example explains a few of the important terms and concepts used in the Oracle E-Business Suite. This would be a good starting point for the beginners to better understand the concepts behind Oracle Applications. Say SkRao is the owner of a wholesale fruit shop. He buys various fruits like apples, oranges, mangos and grapes etc from farmers directly and sells them to retail shop owners and also to the direct customers. The farmers are referred to as VENDORS/SUPPLIERS in Oracle Applications. Harry keeps track of all his vendors’ information like addresses, bank account and the amount he owes to them for the fruits that he bought etc, in a book named Oracle PAYABLE. SkRao gets an order from a retail shop owner of Fruit Mart, for a shipment of 11 bags of apples, 25 bags of oranges and 32 kgs of grapes. In Oracle Apps, bags and kgs are referred to as UOM (unit of measure), Fruit Mart is called CUSTOMER and the order is referred to as SALES ORDER. Harry maintains a book called ORDER MANAGEMENT where he writes down all the details of the SALES ORDERS that he gets from his customers. Say the fruits have been shipped to the customer Fruit Mart. Harry now sends him the details like cost of each bag/fruit, the total amount that the customer has to pay etc on a piece of paper which is called INVOICE / TRANSACTION. Once the INVOICE has been sent over, the customer then validates this against the actual quantity of fruits that he received and will process the payments accordingly. The invoice amount could be paid as a single amount or could be paid in installments. SkRao’s customer, Fruit Mart pays him in installments (partial payments). So SkRao has to make a note of the details like date received, amount received, amount remaining, amount received for what goods/shipments/invoice etc, when SkRao receives the payments. This detail is called RECEIPT, which will be compared to the invoice by SkRao to find how much Fruit Mart has paid to him and how much has to be paid yet. This information is maintained in a book named RECEIVABLES to keep track of all the customers, their addresses (to ship the items), what and how much he has shipped to his customers and the amount his customers owe him etc. SkRao’s fruit business has begun to improve and has attracted more and more customers. As a result, SkRao decided to buy a cold storage unit where he could stock more fruits. In Apps, this cold storage unit is known as WAREHOUSE and all the fruits are referred to as INVENTORY. Due to increase in customers, SkRao needs to hire more people to help him out in his business without any hiccups. These workers are called EMPLOYEES. At the end of every month, Harry pays the salary for all his employees through Checks. These checks are nothing but PAYROLL in Apps. At the end of every month, SkRao prepares a balance sheet in a book called GENERAL LEDGER to determine how much profit/loss he got and keeps track of the money going out and going in. As the business grows, it becomes impossible to record everything on a paper. To make everybody’s life easier, we have very good tools in the market, which help the business men to keep track of everything. One such tool is Oracle E-Business Suite. is referred to as a module and has it own functionality trying to serve a business purpose. Few of the modules are Purchasing, Accounts Payable, Accounts Receivables, Inventory, Order Management, Human Resources, General Ledger, and Fixed Assets etc. · Oracle Purchasing handles all the requisitions and purchase orders to the vendors. · Oracle Accounts Payable handles all the payments to the vendors. · Oracle Inventory deals with the items you maintain in stock, warehouse etc. · Order Management helps you collect all the information that your customers order. · Oracle Receivables help you collect the money for the orders that are delivered to the customers. · Oracle Human Resources helps maintain the Employee information, helps run paychecks etc. · Oracle General Ledger receives information from all the different transaction modules or sub ledgers and summarizes them in order to help you create profit and loss statements, reports for paying Taxes etc. when you pay your employees that payment is reported back to General Ledgers as cost i.e money going out, when you purchase inventory items and the information is transferred to GL as money going out and so is the case when you pay your vendors. Similarly when you receive items into your inventory, it is transferred to GL as money coming in, when your customer sends payment, it is transferred to GL as money coming in. So all the different transaction modules report to GL (General Ledger) as either “money going in” or “money going out”, the net result will tell you if you are making a profit or loss. · An invoice shows the payment that a buyer owes to a seller. From a seller’s point of view, an invoice for the sale of goods and/or services is referred to as a sales invoice. From a buyer’s point of view, an invoice for the cost of goods and/or services rendered is referred to as a purchase invoice. 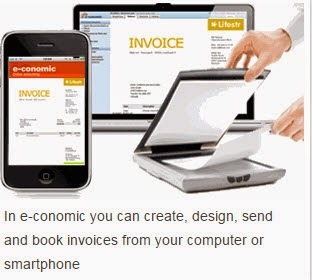 In e-conomic you can design, create, send and book your own invoices from your computer or smart phone. You can even scan invoices (from e.g. your suppliers) and book them in your system directly. Cash transactions are ones that are settled immediately in cash. Cash transactions also include transactions made through cheques. Cash transactions may be classified into cash receipts and cash payments. 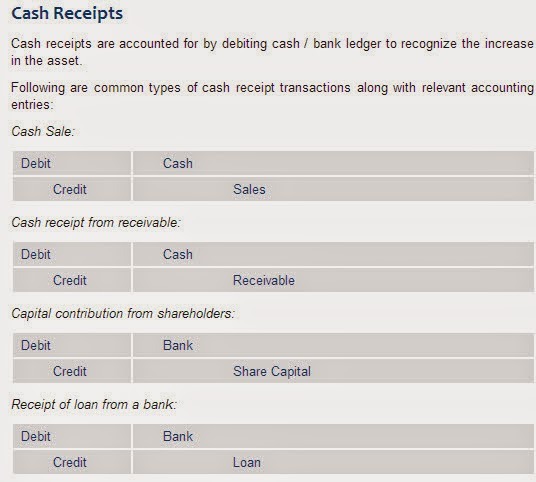 Cash receipts are accounted for by debiting cash / bank ledger to recognize the increase in the asset. The terms vendor and supplier are commonly encountered in businesses that procure goods and services from outside. • A supplier is many a times manufacturer also. A vendor basically means a person who supplies items to customers while a supplier is the one who makes the goods available. The supplier acts as the middleman between the retailer and the manufacturer. A supplier is also a distributor who makes the goods available to vendors. The two terms are not equivalent but are related in the fact that they are both used in the supply chain. Party which acquires, agrees to acquire, ownership (in case of goods), benefit or usage (in case of services), in exchange for money or other consideration under a contract of sale. · Purchase Requisition is a formal request intended to procure/buy something that is needed by the organization. It is created and approved by the department requiring the goods and services. · A purchase requisition typically contains the description and quantity of the goods or services to be purchased, a required delivery date, account number and the amount of money that the purchasing department is authorized to spend for the goods or services. Often, the names of suggested supply sources are also included. · Internal Requisitions are created if the Items are to be obtained from one Inventory location to another location within the same organization. Here the source of the requisition would be INVENTORY. There is no approval process for internal requisition. A buyer-generated document that authorizes a purchase transaction. When accepted by the seller, it becomes a contract binding on both parties. A purchase order sets forth the descriptions, quantities, prices, discounts, payment terms, date of performance or shipment, other associated terms and conditions, and identifies a specific seller. Also called order. · Help purchasing professionals reduce administration costs. · Process requisitions, purchase orders, requests for quotation, and receipts quickly and efficiently. · Replaces paper processing with online requisition generation, purchase-order creation and document approval. · Regulates document access, controls modification activity and approval, and is based on organizational signature and security policies. · Minimizes data entry time with item-saving templates. · Controls purchasing activity and enables accurate, automatic pricing using approved suppliers and supplier lists. · Consolidates purchase requirements from multiple warehouses, plants or locations. · Enables negotiations from a position of strength based on easy access to purchase volume statistics and supplier performance reports. · Facilitates communication between requester, buyers, receiving staff, and accounts payable staff using online inquiries, attachments and notes. · Provides related functions, such as marketing, finance, master scheduling, inventory management, production, cost accounting, and customer order entry with access to purchasing information. · Manages historical purchasing data. 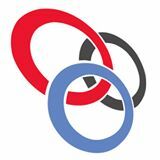 · Automate the Entire Procure-to-Pay Cycle: Define suppliers and agreements; then automate your entire purchasing cycle from purchase order to settlement. · Improve Supply Base Management: Take central control of all supplier and item master information with an application that tightly integrate suppliers into your organization by leveraging advanced supply management capabilities. · Adapt to Any Purchasing Practice: Adapt the application to your organization’s purchasing practices with uniquely configurable policies and an open architecture that integrates legacy and supplier systems. Sales orders represent our mutually binding contract to provide the enumerated products and services you have ordered for the dollar amount specified therein. Generation of a sales order will automatically prompt our fulfillment department to ship your order or activate your digital testing account and produce an invoice. A sales order requires documentation. Examples include an email or fax in which you place the order, or a government contract, or a signed price quote, or organizational purchase order. Conditions of sale are included on sales orders. A pack slip denotes what should be "packed" for a delivery. It may consolidate several orders to a route, truck or customer. However, in some businesses the pack slip or packing slip shows what has been “picked" for delivery or shipment a pick sheet denotes what items to pull from inventory. it too may be derived from consolidated orders. for example: Customers A, B and C all have orders shipping today. Each customer is within 10 min of each other and all will be delivered from the same truck/route. A single pack slip is generated, detailing the 3 customer’s orders (qty and items) for the truck. Depending on the type of picking utilized, one or several pick sheets may be generated. in this case, we'll say there are three "picking zones" in the warehouse. so three pick slips are generated, one for each zone. the pick slip tells each zone picker what items to pick. The three zones then deliver their picked items to a staging zone where the items are sorted into 3 boxes, one for each customer. One example of drop ship is a manufacturer shipping goods directly to one of its customers' customer (instead of delivering the goods to the customer that placed the order with the manufacturer). The following illustrates the concept of drop ship, drop shipping or a drop shipment. Assume that XYZ Distributors Inc (XYZ) sells only the Premier brand of water heaters. XYZ receives an order for 40 of the water heaters from a condominium developer located 30 miles away. XYZ then places an order for 40 water heaters from Premier Manufacturing Corp. However, XYZ instructs Premier to deliver them directly to the condo project. So instead of delivering them to XYZ's warehouse, Premier is asked to drop ship them to the condo project. The drop ship means that XYZ will not have to receive the water heaters, unload them, reload them onto its trucks and then deliver them to the condo project. Hence the drop ship allows XYZ to avoid some expensive non-value-added activities. When Premier ships the water heaters, it will bill XYZ and will send the invoice to XYZ. As a result XYZ will have a purchase and an account payable for the amount charged by Premier. XYZ will prepare its own sales invoice to bill the condo developer. A customer order that has not been fulfilled. A back order generally indicates that customer demand for a product or service exceeds a company's capacity to supply it. Total back orders, also known as backlog, may be expressed in terms of units or dollar amount. is a business function that provides a response to customer order enquiries, based on resource availability.It generates available quantities of the requested product, and delivery due dates. Therefore, ATP supports order promising and fulfillment, aiming to manage demand and match it to production plans. Available-to-promise functions are IT-enabled and usually integrated in enterprise management software packages. However, ATP execution may need to be adjusted for the way a certain company operates. Lot tracking system records information regarding a batch of product. Lot tracking allows to track several units of a stock item using the same lot or batch number. User can determine what can be purchased or sold by Lot status. Expiry dates and user defined statuses allow you to further control the stock item. You cannot sell stock items that have reached or passed their expiry date.. You can track items by lot number and serial number - Lot tracked items are where the tracking (Lot) number refers to a specified quantity of the items, serial numbers are applied to individual items. Lot Control and serialization options are defined at the system level and when one of these options is activated individual items are defined to be controlled by either lot number or serial number or by item number (not lot or serial tracked) on the part master file. When a part is defined as being tracked by lot number or serial number, that tracking is enforced throughout all material transactions for that item and upward through its parent items. For purchased items lot or serial numbers are required for the full quantity of receipt, and are entered as part of the receiving transaction. For receipts with many serial number tracked items, ranges of numbers may be entered. A running total of items accounted for with lot or serial number assignments are displayed, thereby ensuring that the entire received quantity is properly identified prior to completion of the transaction. Furthermore, the system checks current inventory to ensure that duplicate numbers are not assigned. On subsequent inventory transactions, lot and serial traceability is enforced upward through the item's bill of material structure. The lot or serial number and quantity are required on all material issues. “a system of consciously coordinated activities of two or more persons.”Barnard, C. I. (1938). The functions of the executive. Cambridge, MA: Harvard University Press, pg. 73. “The accomplishment of an objective requires collective effort, men set up an organization designed to coordinate the activities of many persons and to furnish incentives for others to join them for this purpose.”Blau, P. M., & Scott, W. R. (1962). Formal organizations: A comparative approach. San Francisco: Chandler, pg. 5. “a Body of individuals working under a defined system of rules, assignments procedures, and relationships designed to achieve identifiable objectives and goals.”Greenwald, H. P. (2008). Organizations: Management without control. Los Angeles, CA: Sage, pg. 6. “a social unit within which people have achieved somewhat stable relations (not necessarily face-to-face) among themselves in order to facilitate obtaining a set of objectives or goals.”Litterer, J. A. (1963).Organizations: Structured behavior. New York: John Wiley and Sons, pg. 5. “an organization is a complex system, which includes as subsystems: (1) management, to interrelate and integrate through appropriate linking processes all the elements of the system in a manner designed to achieve the organizational objectives, and (2) a sufficient number of people so that constant face-to-face interaction is impossible.”Lundgren, E. F. (1974). Organizational management: Systems and process. San Francisco: Canfield Press, pg. 7. A short hand expression for the integrated aggregation of those persons who are primarily involved in: “(1) the undertaking or managing of risk and the handling of economic uncertainty; (2) planning and innovation; (3) coordination, administration and control; (4) and routine supervision” of an enterprise.Harbison, F. (1959). Entrepreneurial organization as a factor in economic development. The Quarterly Journal of Economics, 70, 364–379, pg. 365. “work consists of patterned human behavior and the ‘equipment’ consists of the human beings.”Katz, D., & Kahn, R. L. (1978). The social psychology of organizations. New York, NY: John Wile & Sons, pg. 55. “lively sets of interrelated systems [task, structure, technology, people, and the environment] designed to perform complicated tasks.”Levitt, H. J. (1972). Managerial psychology: An introduction to individuals, pairs, and groups in organizations. Chicago: The University of Chicago Press, pg. 265. “social collectives in which people develop ritualized patterns of interaction in an attempt to coordinate their activities and efforts in the ongoing accomplishment of personal and group goals.”Kreps, G. L. (1986). Organizational communication. New York: Longman, pg. 5. “including five critical features—namely, the existence of a social collectivity, organizational and individual goals, coordinated activity, organizational structure, and the embedding of the organization with an environment of other organizations.”Miller, K. (2012). Organizational communication: Approaches and processes (6th ed.). Boston, MA: Wasdworth-Cengage, pg. 11. “Communicative structures of control.”Mumby, D. (in press). Organizational communication. Los Angeles, CA: SAGE. “an organized collection of individuals working interdependently within a relatively structured, organized, open system to achieve common goals.”Richmond, V. P., & McCroskey, J. C. (2009). Organizational communication for survival: Making work, work (4th ed.). Boston: Allyn & Bacon, pg. 1. “an aggregate of persons, arranged in predetermined patterns of relationships, in order to accomplish stated objectives.”Redding, W. C. (1964). The organizational communicator. In W. C. Redding & G. A Sanborn (Eds. ), Business and industrial communication: A source book (pp. 29–58). New York: Harper & Row, pg. 33. What is an Organization? In EBS it is a generic term, infact, varied term. In Oracle EBS an organization can be a Legal Entity, or an Inventory, or a department. Anything can be treated as organization in Oracle. In our daily routine if we say the word “organization”, we will certainly be referring to some company, for example, Inbox Business Technologies, IBM, Acer, HP, these are the example of organization selling hardware. But in Oracle Multi Org structure they are referred to as Legal Entities. A business group is the top level in multi org structure. Oracle view human resource as the basis for the business. A human resource is selling the products that organization is manufacturing, a human resource is purchasing raw materials required to make a product, a human resource is making accounting and financials statement. In short a legal entity transacts because of Human Resources.